Last year I read Shatru by Vadhan and I fell in love with the character. So when I got the chance to review this book , I was hoping I would be entertained same way. From the moment I started the book , I was hooked. This book was a great help in curing my reading block. 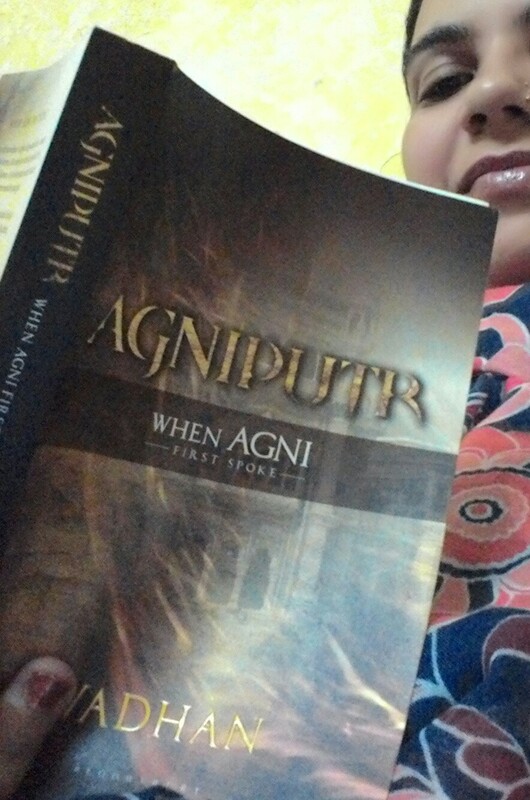 Agniputr is a weapon , the only way to get rid of the demon that has been invoked in the earth's realm by a tantrik. Born out of blood of Surya family, it can only be contained by heir of the same clan, who now is a lawyer far away from home , busy seducing women and earning money. The first attempt to destroy it is ruined by treachery but it does manage to control and hide it from evil eyes. But now , it grows stronger and it is bidding time to unleash all its power and destroy all life on the planet. Using a greedy politician's resources and mind , the tantrik is back to the castle where it all started. The plot is not as simple as it appears in the skeletal structure. As soon as you think the story is on predictable path , the author brings a beautiful twist . The end was supposed to be smooth and easily drawn about but the tables turn there too. How much I hate to wait for next part ! Lovers of thrillers / sci fiction or fantasy will equally like this book. There is a good research done on setting the scientific explanations of some of the phenomenon whether related or not in the larger scheme. Spirituality / ancient wisdom is slowly being proven right by science and we can not ignore it now. The book binds both together beautifully. This book reached me after I had gone through a rough phase at work and the first thing I thought while reading this was , how much years have I put myself behind by not noticing all these things around me. This simple written , well organized book should be made into mandatory reading every time you jump the professional ladder and to prepare yourself for the same. The book is divided into sections - one for each player in the office, starting with yourself. You , the manager , the team , the colleagues , the manager's friends and lastly the manager's boss - the book has advice on tackling all of these and of any attitude or ethics. Each chapter ends with quote from different business leaders and whether you read the book in a flow or random topics , the quotes fit well every where. 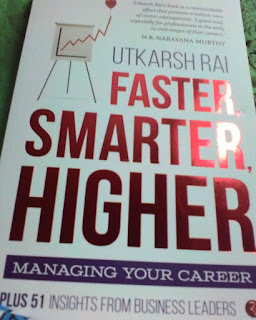 Reading this book resolved some of my queries that I was hoping to voice out some day to my boss or to ask my mentor without looking stupid. Thanks to this book , I now have some more relevant content to fill the gaps when I am in a face to face meeting with anyone in office. I specially benefited a lot from the first section since it taught me how I was not using my own skills and networks in optimum way. I sure need to re read the book in some months , just to make sure I am on the right track in m professional journey. A very good book for starting to work on oneself , to change and to aspire for a successful and happy time at work. 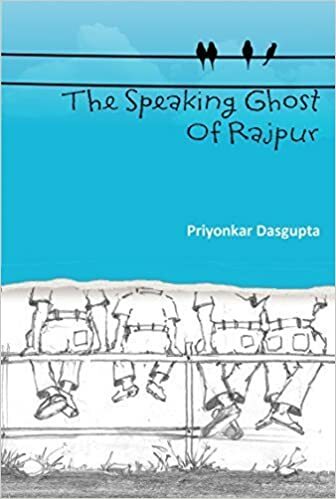 The moment I saw the cover , I felt certain eagerness to read this book and my eagerness was rewarded enough in the opening chapters - vacations with cousin and his friends , one of them trying to fit in with the rest , the tales one has heard and the feelings of reality being tad better ! The little town of Rajpur was so picturesque that I felt transported to the very roads these kids walked and planned their adventures. This is the story of 5 guys - 3 of them cousins and two friends of the eldest one Joy. The book has probably all the elements that make this a good book to read on lazy summer afternoons when you are not allowed to step out. This had the charm and feel of my favorite series - the famous five without a pet and any girl. There are video game parlors , the fairs , the picnic , the thrill of new discoveries , forbidden pleasures and the close knit warmth of a small town and their kids. While i loved the lazy town , the descriptions that probably took me back to my childhood home an summers , after a point it felt too stretched and i wanted the story to move forward a bit faster. More so , I felt that the title of the book gave me too much hopes and i so much waited to find a ghost or an actual mystery in there. The end was a little surprise but then it fizzled out for me a little too fast. Overall, I liked the book but this one definitely tested my patience !